It’s an all-too-familiar story now, but it was less so at the time. 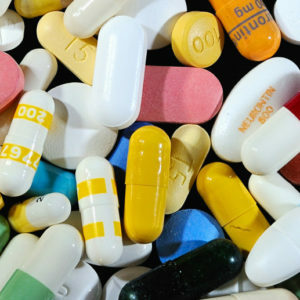 On April 7, 2001, Cincinnati police attempted to arrest 19-year-old Timothy Thomas. Thomas had been pulled over a number of times in the previous months, and issued with a string of traffic citations for not wearing his seatbelt and driving without a license. On April 7, after Thomas attempted to evade escape, he was shot dead. He was unarmed. The Cincinnati neighborhood of Over-the-Rhine erupted afterward. But a word like “erupted” doesn’t do justice to structural conditions like high poverty and unemployment in the neighborhood, or to the long-simmering racial tension that had led to multiple police killings of unarmed black men long before Thomas’ death. 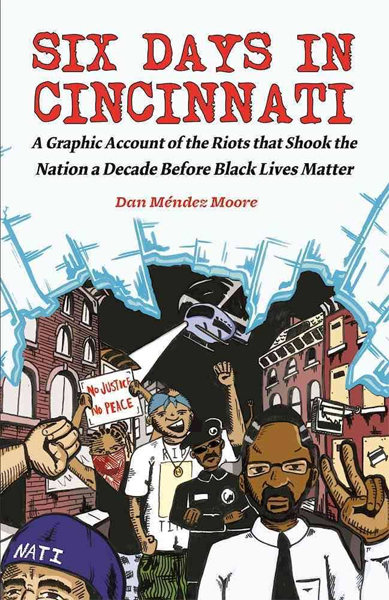 The protests that followed Thomas’ killing are documented in Dan Méndez Moore’s Six Days in Cincinnati: A Graphic Account of the Riots That Shook the Nation a Decade Before Black Lives Matter. Six Days in Cincinnati, forthcoming in June, reports on this period that’s well-remembered in Cincinnati but largely forgotten outside of Ohio. It collects testimony from people with strong memories of the time: activists like Robert Pace, who recounts resistance to police suppression of protest; members of the clergy like Reverend Damon Lynch III, who reflects on tactical mistakes in activism; and Mrs. Keith, a teacher who talks about how Over-the-Rhine has changed over the years. This isn’t a straightforward journalistic account, though. 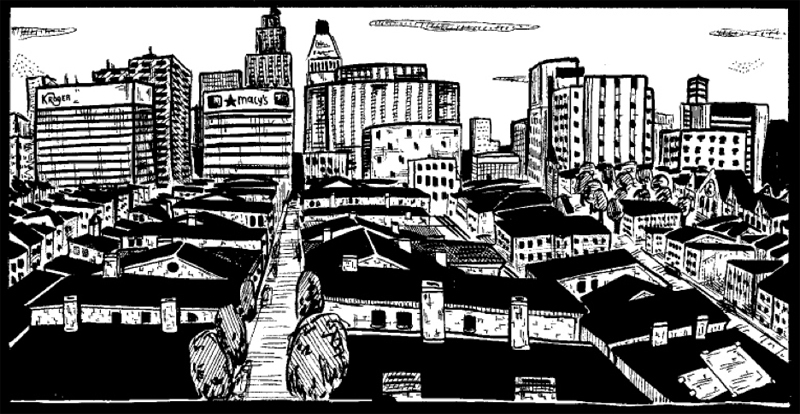 For one thing, Six Days in Cincinnati is told in graphic memoir form. Moore chose this medium partly because the upheaval in 2001 was itself so visceral, which lent itself to visual storytelling. At the same time, he recognizes that Cincinnati is under-appreciated. He wanted to capture the unexpected beauty of the city, from its housing units to its public buildings. He also wanted the book, which aimed to be “decent people’s history,” to look like something a teenager might conceivably pick up. The book also isn’t traditionally journalistic in that Moore doesn’t pretend to be an objective observer. He’s keenly aware of the limitations, as well as advantages, of his own perspective. He refers to his whiteness as “the elephant in the room” when it comes to many situations, from organizing the union activity of predominantly non-white low-wage workers, to writing a book about riots sparked by continuous racial injustice. “I would be a fool to approach any situation without an understanding of how people see me and my own biases,” he says. His strategy is to be up-front about his position and privilege—relatively easy to do in a comic book where visuals can reveal certain information about identity in an instant. 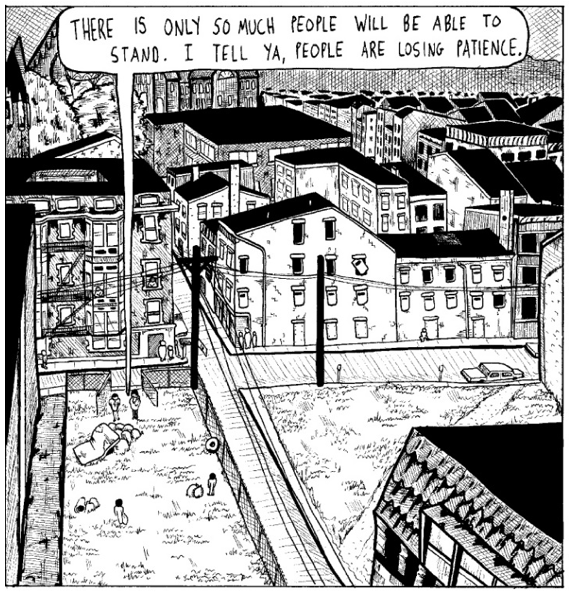 The decision to insert himself into the book was influenced by the work of a landmark comics journalist, Joe Sacco, who has reported from conflict zones in Palestine and the former Yugoslavia. “He does a great job of placing himself as a journalist in the story” without making the story about him, Moore says of Sacco. This acknowledges the way a story is reported, which can sometimes be as revealing as the actual content itself. 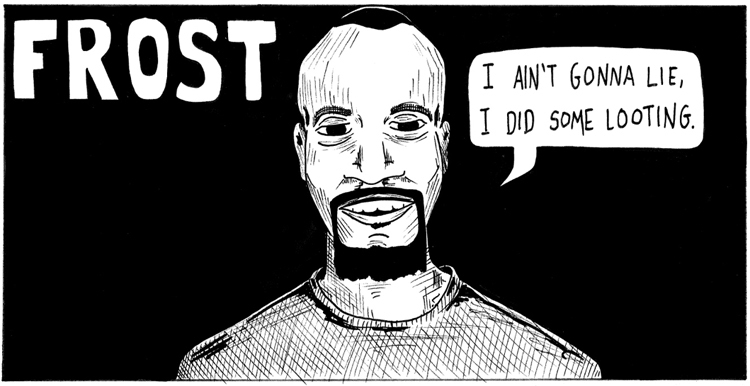 Moore’s self-portrait in Six Days in Cincinnati is self-deprecating in a manner similar to Sacco’s portrayal of himself: inquisitive and slightly goofy, permanently wearing a skull T-shirt that emphasizes the divergence between a naïve white kid asking questions and the impassioned black residents speaking about a matter that’s literally life and death for them. What Moore has tried to do with the book is to “create a tapestry of different people who were involved in the movement.” Moore draws not only what he saw, such as the heavy-handed enforcement of the post-riot curfew in predominantly black neighborhoods, compared to the blithe disregard of the curfew in largely white areas. He also depicts different interviewees’ actions at the time and their comments afterward. This was clear, for instance, in the example of the reverend who prior to the rioting and property damage had been seen as an extreme leftist, but following the violence had a new legitimacy. City leaders were suddenly seeking him out as an apparently moderate voice. Moore now lives in Minneapolis, where he works as an organizer for SEIU Local 26, a union of janitors, retail security officers, and other low-wage service workers. Specifically, he works with these employees to advocate for better working and economic conditions. He says that union members, who are predominantly Latino, with significant proportions of Somalis, Ethiopians, and African-Americans, are very aware that they’re treated differently by law enforcement. “People do or don’t answer their doors depending on the political environment . . . People don’t come to protest in part because they’re afraid.” Protests involving ethnic minorities with a lot at stake often have to be more organized, more careful, than protests of white people, who tend to be perceived as non-threatening. There’s been some debate lately over whether objectivity in journalism and biography is really something to be prized—and indeed whether it’s even possible. 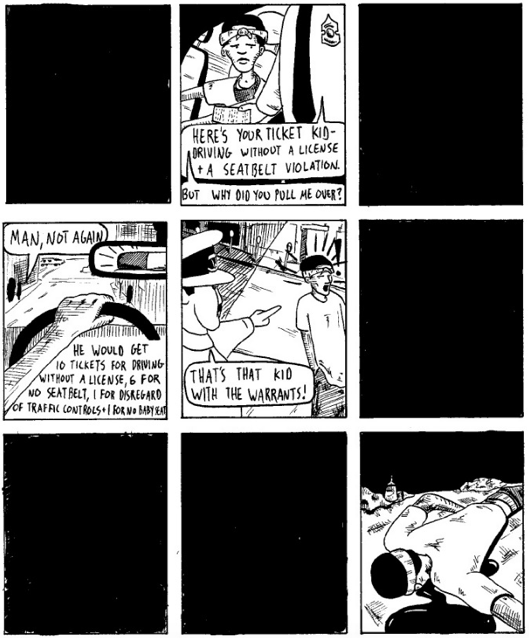 In an era when Black Lives Matter remains somehow a controversial name, and attacks on civil liberties are relentless, a peculiar little sub-sub-genre like comics journalism is as relevant as it’s ever been. Because comics, which take so punishingly long to produce, have long tended toward biography and memoir; if a cartoonist is going to spend many years on a single work, often the most rewarding subject matter is, well, themselves or the real world. With no end to police violence in sight, a work like Six Days in Cincinnati makes both an appropriate fit for the genre and the modern day. All images © 2017 by Dan Méndez Moore. Christine Ro has written about books for Brooklyn Magazine, VICE, Ploughshares, The Big Issue, and Wink Books. She has a bad habit of forgetting all but the last three books she read.